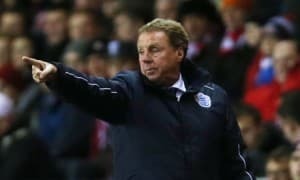 With Harry Redknapp back at the helm of an English Premier League team and bookmakers rating the chance of Queens Park Rangers staying up at around 50 per cent, the strategy of backing sides with new managers is a hot topic once again. There has even been a term coined – new manager syndrome – to describe the recurring event in which football punters and non-gambling fans of the beautiful game convince themselves that a struggling team’s form will improve because they have changed the bloke in its dugout. Believe it or not, football punters and academics who are interested in human resources have conducted several studies into the new manager syndrome and, by and large, the results of these investigations have poured cold water on the idea that one should back sides with a fresh face in charge. Highly respected football statistics guru Kevin Pullein went through the results of every English Premier League match played in the six seasons between August 1998 and May 2004 and concluded that teams which changed managers actually did worse in their first game under the control of a new boss than one may have anticipated. As Pullein pointed out, one remembers the sides which win under new management much more readily than the teams which lose despite changing leaders. A German student with a deeply personal interest in the new manager syndrome conducted a 35-year study of the results in her country’s top domestic football competition. Alexandra Tippenhauer, whose father, Hans-Dieter, got his marching orders from Bielefeld in 1980 – found that Bundesliga sides which sacked a boss did no better in their next 12 matches than they have done in their previous dozen games. And the recent Italian study of Maria De Paola and Vincenzo Scoppa, derived from Serie A campaigns from 2004 to 2008 and published in the latter year, concluded that there was no evidence that managerial change produced any significant improvement in team performance within the same season. In summary, the belief that changing a manager, in itself, improves results, if only in the short term, is false. But because the majority of football fans – whether they like a punt or not – believe that it is true and bookmakers frame their markets accordingly means that there is betting value out there if one does not follow the mindless herd. Queens Park Rangers is eight points adrift of the English Premier League safety zone with more than one-third of the campaign gone yet, because of the belief in Redknapp and the new manager syndrome, it is available at around 4-5 to be one of the three relegated sides. Reading, which has four more points than the Super Hoops and has played one match fewer, is trading at between 4-7 and 4-9 for the drop. The euphoria surrounding Redknapp’s appointment means that the appalling start to the season by Queens Park Rangers – its 14-game English Premier League record of no wins, five draws and nine losses constitutes the worst-ever beginning to an English top-flight campaign since the Premier League was formed in 1992 – has been forgotten by many people. And before anyone gets carried away with the Super Hoops getting a point from its English Premier League match at Sunderland on Tuesday night, consider this fact: the Black Cats have won only two of their last 21 top-flight games. Queens Park Rangers is getting ready to face Aston Villa at Loftus Road on Saturday. Incredibly, some bookmakers are quoting the Super Hoops as odds-on match favourites. They and their clients must think that Redknapp is the Second Coming because, even allowing for their Brummie opponents being the English Premier League’s 17th-ranked team, one could not sensibly list QPR at shorter than about 5-4. It is at this time of year that the boards of many European football sides panic and sack their team’s manager. Do not get sucked in to the new manager syndrome. It is a fallacy but one that from which you can profit if you bet against the crowd, particularly by laying sides to win for their incoming boss at absurdly short odds on betting exchanges.